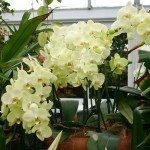 While orchids generally get a bad rap for being difficult to grow and propagate, they’re actually not that difficult at all. In fact, one of the easiest ways to grow them is through orchid propagation from keikis. Keiki (pronounced Kay-Key) is simply a Hawaiian term for baby. Orchid keikis are baby plants, or offshoots, of the mother plant and an easy method of propagation for some orchid varieties. It is important to note the difference between a keiki and a shoot. Keikis grow from buds on the cane, usually the upper portion. For instance, on Dendrobiums you’ll find the keiki growing along the length of the cane or at the end. On Phalaenopsis, this will be on a node along the flower stem. Shoots, on the other hand, are produced at the base of plants near the point where the canes come together. The keiki can be easily removed and repotted. If you want to produce another plant, just leave the keiki attached to the mother plant until it sprouts new leaves and shoots that are at least a couple inches long. When root growth is just beginning, you can remove the keiki. Pot it up using a well-draining orchid potting mix, or in the case of epiphytic varieties like Dendrobiums, use fir bark or peat moss rather than soil. If you choose not to keep the keiki, you can simply remove it anytime and discard. To prevent formation of keikis, cut off the entire flower spike once blooming has stopped. 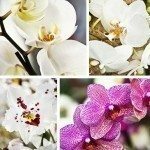 Orchid keiki care, or baby orchid care, is actually quite easy. Once you’ve removed the keki and potted it up, you may want to add some type of support to keep it standing upright, such as a craft stick or wooden skewer. Moisten the potting medium and place the baby plant where it will receive a little less light and mist it daily, as it will require lots of humidity. 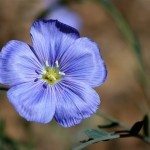 Once the keiki becomes established and begins to put off new growth, you can move the plant to a brighter area (or previous location) and continue caring for it the same as you would the mother plant.